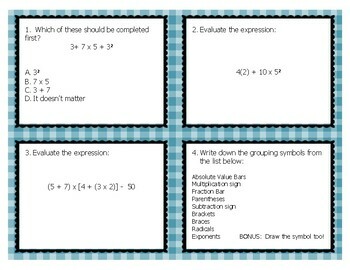 These task cards are a great way to practice order of operations concepts with your students. 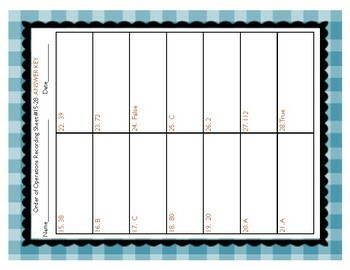 It also includes 4 optional movement task cards and 4 optional kindness task cards for early finishers or to intersperse if your students may need a quick brain break as they move throughout the activity. This activity is a great follow-up to instruction using my Order of Operations Interactive Notebook Foldable. If you have a question or suggestion please message me!